Your waterside vacation rental has easy access to explore the back bays and the Gulf of Mexico by boat or kayak directly from our docks. Want to shop? We are just 2 blocks from Times Square where unique stores and fun restaurants await you. 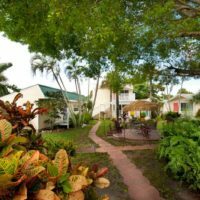 Close to Matanzas Pass Bridge to get on and off the Island with no hassle and easy walking distance to most Island activities. Just dial down the stress and relax with your favorite people on your Fort Friendly, laid-back atmosphere. Perfect vacation setting! 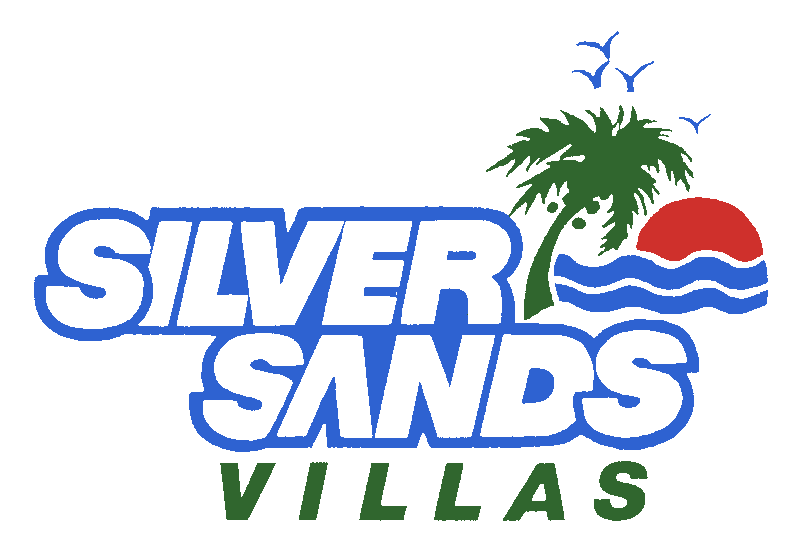 Welcome to the Silver Sands Villas website. For your pleasure, the images shown below can be viewed in a larger format by simply clicking on the photo. 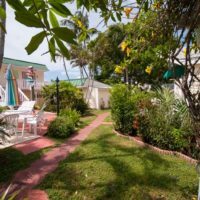 Enjoy your visit to our Internet presence, then call us and reserve some of your time at our unique Key West style resort on Fort Myers Beach! 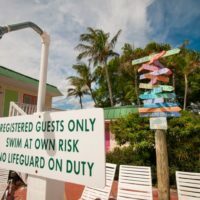 We are a Pet Friendly Resort on Fort Myers Beach Florida. Twenty two cottages nestled among tropical palms and native foliage. Only 60 paces from pristine sand and the Gulf of Mexico. Come for a day or longer. 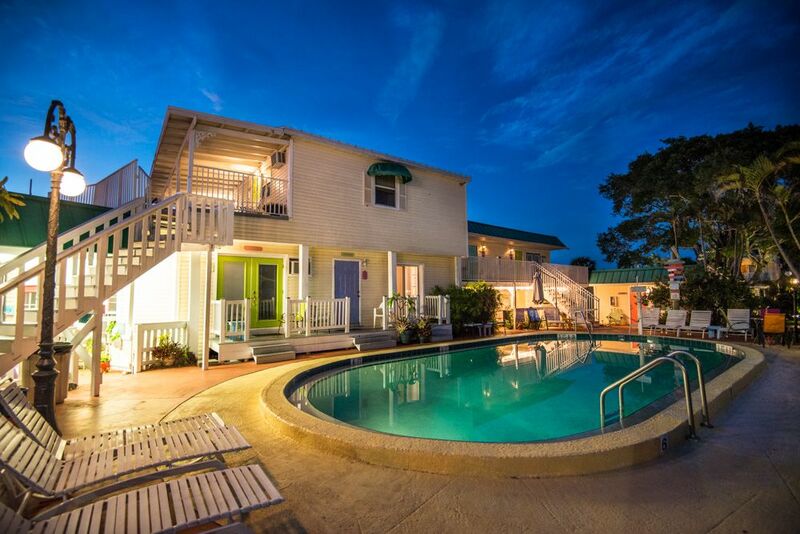 We have the perfect setting for a low key vacation in our cool, clean, comfortable villas. 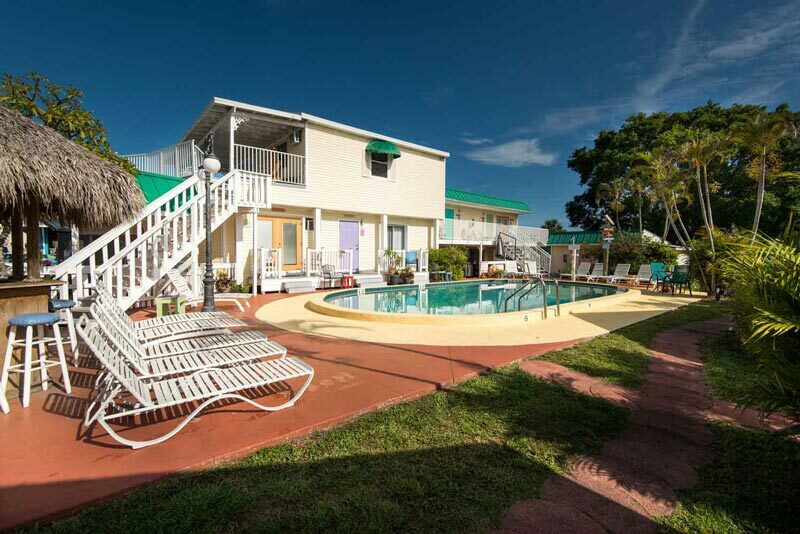 Our cottages are located on the Bay Side of the Island with boat docks and easy beach access. You can bring your Family and Pets (one time $35+ pet fee) and enjoy the beauty of the Gulf Waters. This is the perfect beach vacation for the entire family. You can swim, shell, sunbathe and relax all day. Even as the sun sets you will be entertained, as Ft. Myers Beach boasts some of the most spectacular sunsets anywhere in the world. 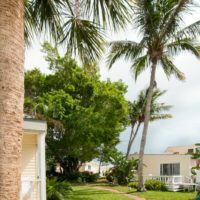 Our quaint “Key West style” cottages are the perfect place for family trips, reunions, birthdays, weddings, or getaways. 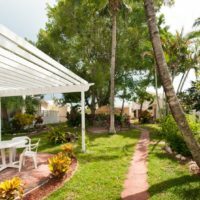 Whether you are looking for a day or a month vacation rental our pet friendly resort is flexible and does not require Saturday to Saturday rentals, thus allowing you a chance to plan your vacation around your schedule not ours. 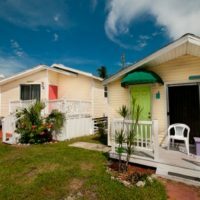 Amenities at Silver Sands Villas include a heated swimming pool, beach access, boat docks, gas grills, fully equipped kitchens/kitchenettes, business center with high speed access and bicycle and scooter rentals nearby. 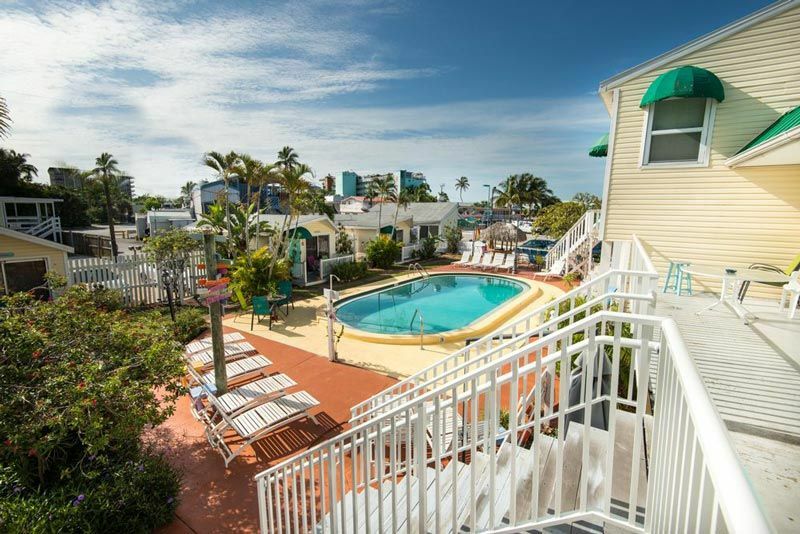 When you plan your next vacation on Ft. Myers Beach Florida think Silver Sands Villas. We are available to help you plan the kind of vacation you want. We can assist you with boat rentals, excursions, sight seeing or help you find a quiet stretch of beach. 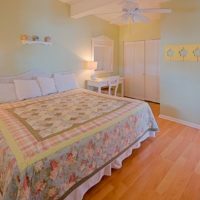 Our newly renovated cottages are warm and inviting and you will feel that you have arrived in paradise where life moves at a different pace. Contact us for further information.